More than a quarter of younger Germans are ready to buy cryptocurrencies, according to a research issued by the German Consumer Centers of Hesse and Saxony. The survey results show that profitability is still a driving incentive for young people looking to become involved in cryptocurrency, as cited by about a quarter of those interested in investing. Meanwhile, 17% believe bitcoin & Co. are the "money of the future." Respondents overall rightly found crypto investing to be a risky venture and people who were aged from 30-39 believe more than half of the time that cryptocurrency is dangerous. As the interest in crypto grows, the first bitcoin ATM has been installed in Munich. 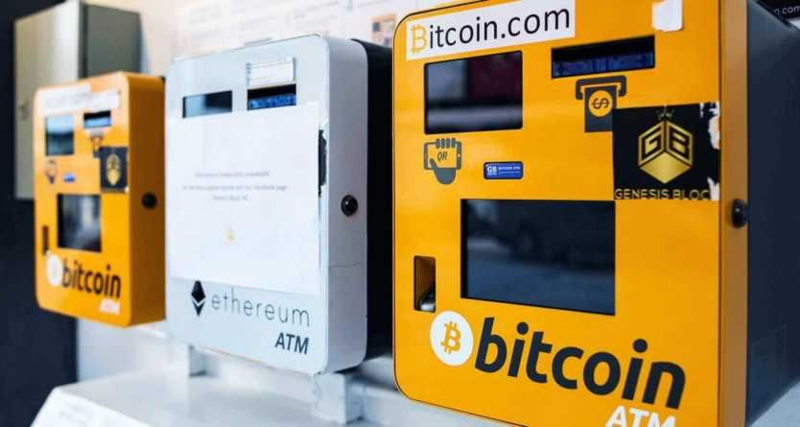 Sources say that a casino owner decided to import the ATM from neighboring Austria after a recent ruling by a German court declaring that dealing in cryptocurrency is not subjected to mandatory licensing. In an interview last month, Felix Hufeld, President of the German regulator BaFin (Bundesanstalt für Finanzdienstleistungsaufsicht) said that while they “respectfully acknowledged” the court ruling, the issue as to whether cryptocurrency constituted a unit of account as per the law was a different matter. Felix Hufeld further called for an international push to regulate phenomena such as ICOs. The Federal Supervisory Authority BaFin has recently red-flagged the activity of Crypto Capitals, a firm that provides contracts for difference (CFD) and options on indices, shares, commodities, and currencies. BaFin asserts that the company is “facilitating customers’ access to the options and contracts offered” and is not authorized to do so in Germany. In October, BaFin asked the global community to come forward and join with it in its efforts to regulate the ICO industry. BaFin qualifies virtual currencies/cryptocurrencies as units of account and therefore financial instruments. Undertakings and persons that arrange the acquisition of tokens, sell or purchase tokens on a commercial basis, or carry out principal broking services in tokens via online trading platforms, among others, are generally required to obtain authorization from BaFin in advance. In a guidance on value-added-tax (VAT) treatment of bitcoin and other virtual currencies issued in February, the German Federal Ministry of Finances said that transactions to exchange a traditional currency for virtual currencies and vice versa constitute the taxable supply of other services for consideration but fall under the exemption from VAT. Stating that bitcoin or other virtual currencies that are used simply as a means of payment are treated the same as traditional means of payment. Using bitcoin or other virtual currencies for no other purpose than as a means of payment is therefore not taxable. “However, there are security concerns surrounding money laundering, the funding of terrorist organizations, online gambling, and other forms of illegal revenue that are being prepared to be studied in a national risk analysis assessment project,” the executive reminded. 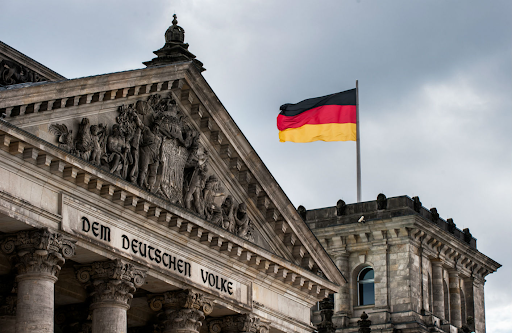 According to a statement, the German government is of the view that further regulation of cryptocurrencies may most importantly require a coordinated effort at the international level. Germany’s Finance Minister Olaf Scholz doesn’t fear bitcoin and the like, as he is skeptical on whether digital assets can achieve the efficiency level of fiat money, Reuters reported in September. "I would doubt today, whether it has a perspective as a currency model," said Scholz. He compared cryptocurrencies to the tulip fever bubble in the Netherlands in the 17th century saying,"and the danger is great that there will be such tulip inflation." In April 2018, Securities trading bank VPE (VPE Wertpapierhandelsbank AG) launched the first cryptocurrency trading service for institutional investors in Germany, expanding its brokerage offering. "Cryptocurrencies such as bitcoin, litecoin, ethereum, and others have become a promising asset class in recent years. To date, trading digital tokens has been restricted to crypto exchanges and online marketplaces,” aid Katharina Strenski, Public Relations Manager at VPE. “We are pleased to be the first German bank to offer our customers cryptocurrency trading services," he added. Later in July the Berlin-based Banking-as-a-Platform (BaaP) institution Solarisbank announced the launch of their new banking service plan that’s focused on clients from the blockchain and digital currency industry. The newly featured resource called the ‘Blockchain Factory,’ offers financial management services to companies whose business operations deal directly and indirectly with cryptocurrency solutions and blockchain technology. It also reduces the risk to end-customers and makes the cryptocurrency transactions more secure.